‘Art Story’ is a feature looking to expand enduring characters, story and family fun. “Art Story” is focused on the main character, Walt, a meticulous and focused 11 year old boy, and his relationship with his erratic and hairbrained Grandfather. The two couldn’t be more opposite and are always at odds with each other; however, they must work together when they get trapped in the vast, imaginative world of paintings. This world is the place that exists on the other side of the canvas, where the famous landscapes and painted characters come to life in their own world. Walt and his Grandpa wander through famous artwork from, “American Gothic” by Grant Wood to “Starry Night” by Vincent van Gogh and “The Persistence of Memory” by Salvador Dalí, stumbling upon various characters and scenes from painting to painting. In their search for a way back home, the two encounter an evil painted character trying to break into their world. In order to stop the villain and return home, Walt and Grandpa must join forces, and adapt to the many different scenarios they come across. With over 20 years of experience working at Disney, co-directors, Aaron Blaise, and Chuck Williams, of “Art Story” are no strangers to the world of animated films. After working on classic stories such as “Aladdin,” “The Lion King,” “Mulan” and “Beauty and the Beast,” the two joined together to spearhead the Oscar nominated for best animated feature film, “Brother Bear,” which Blaise co-directed and Williams produced. Now, their combined experience in bringing beloved characters and stories to life blends together again in “Art Story” to create a masterpiece. In order to garner the money necessary to produce the film, Blaise and Williams have started a crowdfunding campaign on Kickstarter. With 31 days to go, “Art Story” needs the help of fans of all ages to reach its $350,000 goal. 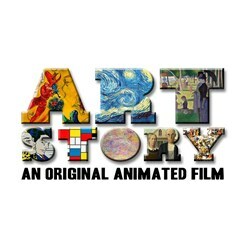 To support this family friendly film, head to the “Art Story” Kickstarter page at http://bit.ly/ArtStoryKS. Also, be sure to connect on Facebook and Twitter @ArtStory.